If you don’t have the dough for a major reno or if upgrading to a larger home is out of the question, you might find your dreams of having a colossal spa-inspired sanctuary washed down the drain. 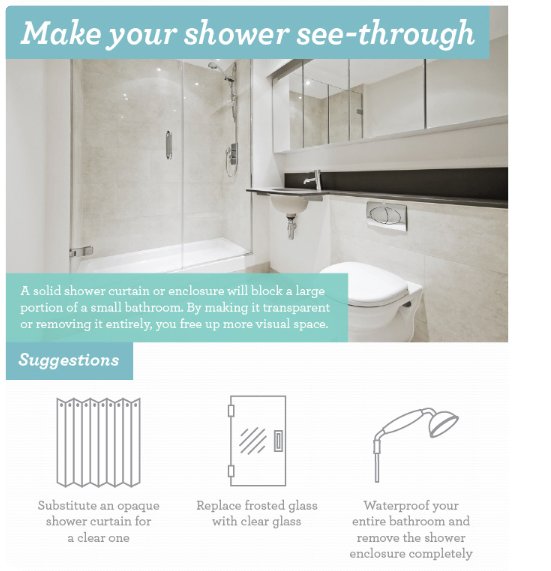 It’s no surprise that the bathroom is one of the spaces we value most in our homes. It’s where we prepare for the day and unwind when it’s over. It’s where we go to take a break from the world or to catch up with it. However, to the plight of homeowners and renters alike, it can also be one of the smallest and trickiest spaces to work with. This entry was posted in decorating and tagged bathroom design ideas, small bath look big. Bookmark the permalink.